Oxbridge applications: five things you might not know - Which? Top entry requirements, tricky interview questions… both universities are famously tough to get into, but how does the applications process compare between Oxford, Cambridge and other universities? Applying to Oxbridge? We've also got a five-step plan setting out what you need to get into Oxford or Cambridge – and take a look at what successful applicants told us about their Oxbridge interview experiences. Don’t forget that you can only apply to either Oxford or Cambridge – not both. If you’re not sure which to go for (and both are excellent), read our guide on deciding between the two to figure out the best option for you. The most obvious difference between admissions at Oxbridge and other universities is the emphasis on academics. Not all successful applicants to Oxford and Cambridge will have straight A*s under their belts, but let’s face it – a fair few do! While other universities may decide to offer you a place based on other skills, extra-curricular interests and experience you have, it's your academic performance and ambitions that really interest Oxford and Cambridge admissions tutors. Did you know...? For Oxford, the typical conditional offer ranges between A*A*A and AAA (depending on the subject), while most offers from Cambridge are A*AA. Do you always need to get straight A’s to get into Oxbridge? Most universities will use your predicted A-level (or other) grades and information from your Ucas form (including your personal statement) to inform their decision about whether to offer you a place. Oxford and Cambridge, however, use additional information to assess you on (as most apply with top grades). Read our full guide to entry requirements to learn more. Applicants are required to submit a Supplementary Application Questionnaire (SAQ) in addition to the Ucas form, in order to provide a complete picture of themselves as an applicant – we go into more detail below. Cambridge applicants will also take subject-specific tests, either prior to (end Oct/early Nov) or at their interview. BMAT and UKCAT exams are sat prior to interviews. After you submit your Ucas form, Cambridge applicants are expected to fill in an SAQ. The Cambridge University website has more information on SAQs. Oxford doesn't have an SAQ, but it does require applicants for most courses to take a test as part of the application process. Did you know...? Both Universities ask some applicants to submit examples of written coursework as part of the application. Which admissions tests do I need to take? The personal statement is an important part of any university application – and whether applying to Oxbridge or anywhere else, it’s a great opportunity to highlight your academic potential and to demonstrate that you’ve read widely around your subject (particularly important for Oxbridge candidates!). 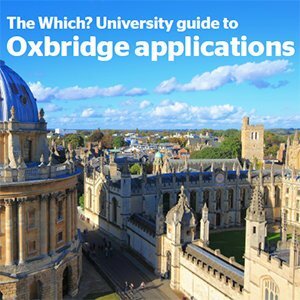 But while it might be used by other universities as a means to decide whether or not to offer you a place, Oxbridge admissions tutors have all that additional information about you on which to make their decision – your test scores, interview performance, submitted coursework – making it less of a priority. Did you know...? Your personal statement is likely to be used as a guide to what to ask you at interview, so make sure you’re able to talk confidently about anything you include. A good deal of the teaching at Oxford or Cambridge takes place in small classes ('tutorials' at Oxford and 'supervisions' at Cambridge). In many ways, your interview will be replicating this type of class to assess whether you're suited to the teaching style. Interviews are less common at other universities and can range from the Oxbridge-style ‘exam out loud’ to more of an informal discussion about your suitability for the course. Did you know...? Interviews at Cambridge normally take place in one college, often on a single day – but Oxford applicants will usually stay for at least a couple of days and may be interviewed at multiple colleges. Oxford and Cambridge are two of a handful of universities to have a collegiate structure (Durham and York are other examples). Your college at Oxford or Cambridge is where you’ll live, socialise and do most of your studying. The most important thing to know is that the college you choose won’t affect your chance of getting a place. If you can’t decide on a college, you can make an open application, where a computer program will allocate your application to a college for you. Once allocated, your application is treated exactly like any other. Did you know...? According to the Universities’ websites, about one in five successful Oxford applicants and 25% of Cambridge applicants end up at a different college to the one they originally applied for – so don’t agonise over your decision too much! Been invited to an interview at Oxford or Cambridge Universities? Students who have been through the Oxbridge interview process share their stories.